120 km away and situated near the village of Kelwara in Baran district at Rajasthan, Sitabari is a beautiful picnic spot. 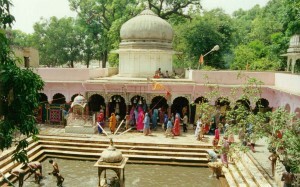 The old temple of Sita and Laxhman besides seven water tank are excellent to visit. A tribal fair is also held in the month of May to June every year. This entry was posted in Rajasthan, Sitabari. Bookmark the permalink.